Bonanza is a superb online slot game developed by Big Time Gaming. This Bonanza Slots is a mining-themed slot that features a stunning gameplay. It is very well-constructed with appealing animations and an effective soundtrack. It also contains an autoplay option and various bonus features. The return to player percentage of this slot is 96.00%. Come and try this interesting Bonanza Slots!! 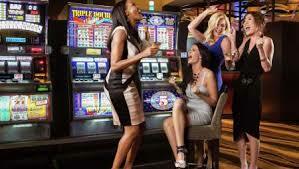 Bonanza Slots game is built with six reels, three rows and amazing 1,17,649 winning ways. The players will get to view that reels are spinning underground and above that lies a mine cart. This mine cart will add the extra symbol to the reels 2, 3, 4 and 5 upon every spin. Bonanza Slots game possesses well-designed symbols. The higher value symbols are depicted by a shining diamond and gems of various colours like green, red and blue. Whereas, the lower values are shown by the playing cards such as 9, 10, J, Q, K and A. On the other hand, few sticks of the dynamite is the wild icon of this slot game. It can substitute all the other symbols except ‘G,O,L,D’ scatter symbols. This slot can be played with the minimum and maximum bet of £0.20 and £500.00 respectively. The players can also obtain a jackpot of 50× their stake. Every symbol that is included in the winning combo will vanish in order to get replaced by more which are falling from the above. Now, more combinations will be formed and such process will keep continuing until no more wins occur. This feature will get activated by placing four G, O, L and D scatters somewhere on the reels. The players will now initially acquire twelve free spins and each of the extra scatters will provide five additional spins. Also, during the spinning of reels, each of the successive reaction will rise up the win multiplier. However, there is no upper limit at that multiplier. Moreover, there is even a ‘pile of golden bars’ scatter on the show within the mine carts. By landing 3 or 4 of these, the players will receive five or ten extra free spins respectively. This Bonanza Slots game provides a nice gaming experience to its slot players. It has easy-to-follow instructions and rules for its entertaining gameplay. This slot has a medium variance and one can squeeze a decent amount of money out of it.